Avidemux is a nice little piece of free video converting and editing software. It’s a lot of people’s first choice when it comes to simple video editing and converting tasks as it’s open-source and free. By utilizing what Avidemux called filter, you can easily perform video editing on a video. It also supports converting videos between a lot of different formats. So if you want to use it to convert AVI to MP4, you’ve made the right choice. The advantage of Avidemux, as is mentioned above, is that it’s free. You won’t have to pay for it to get your AVI videos converted to MP4. But it isn’t perfect. For example, the interface looks a bit outdated when compared to modern software we use in our daily life and it uses a lot of specific terms that might look strange in novice’s eyes. 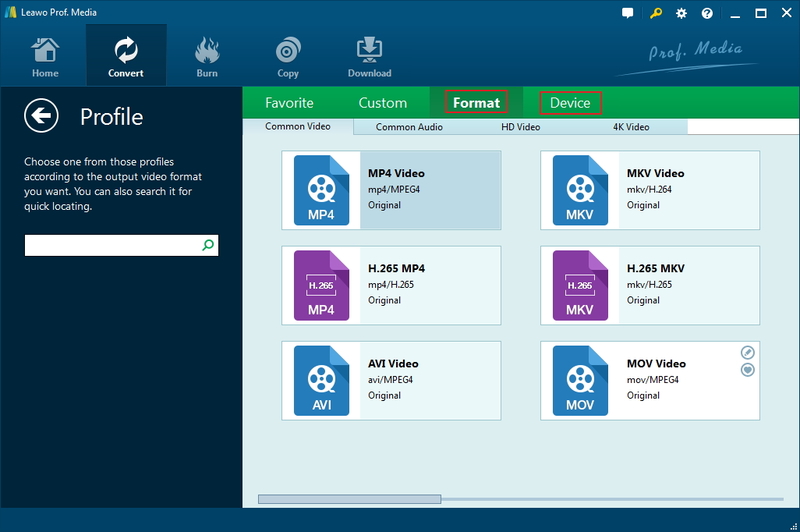 But if you have experience using similar programs, then you should find no problem using Avidemux convert AVI to MP4. But to help beginners of the program to learn to use the program, I will include a detailed tutorial of using Avidemux to convert AVI to MP4. Follow the instructions below and it will only take you a few seconds to learn how to use Avidemux to convert AVI to MP4. 1. Launch Avidemux on your computer and then import the AVI video you want to convert to MP4. You can directly drag the AVI videos to the interface of Avidemux to import them. Or click File>Open and then choose the needed AVI videos from the Select Video File dialog box. 2. Click on the option box under Video Output label and then select the video codec you need from the drop-down menu. 3. Click the option box below the Audio Output label to choose the audio codec you want from the drop-down menu. 4. Find the option box under Output Format label and click on it. 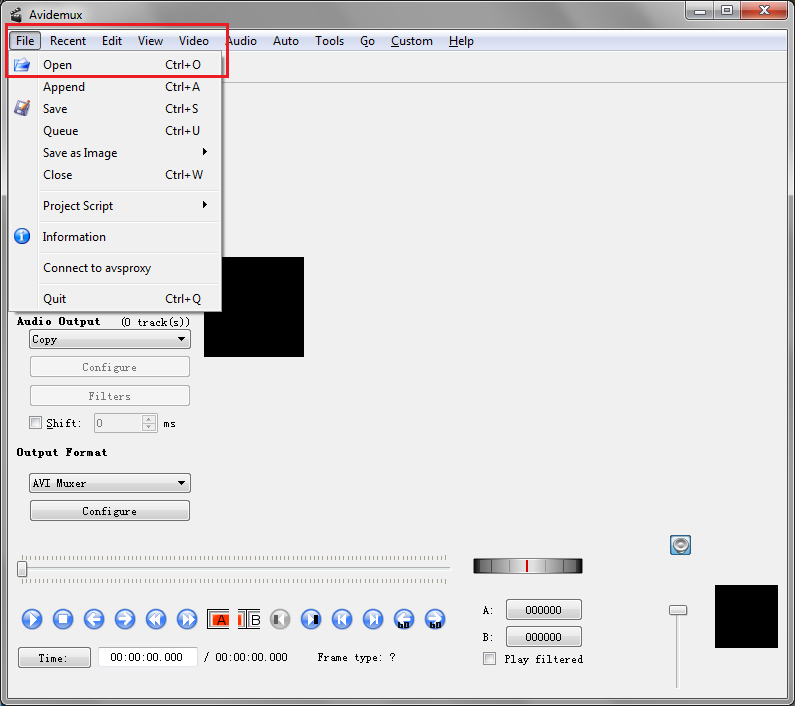 On the following drop-down menu, select MP4 Muxer to set MP4 as the default output format. 5. To start converting AVI to MP4 with Avidemux, click the Save Video button on the top row of icons(the location of this button might vary according to personal settings) or click File>Save. And on the following Select File to Save dialog box, select a place to save the video in and name the video in the FileName box. And then click Save to allow Avidemux to start converting AVI to MP4. 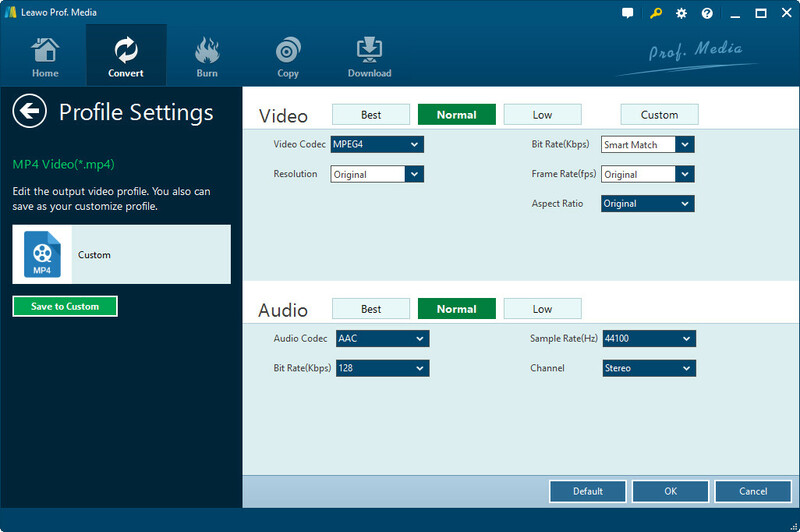 Avidemux also support converting videos in a lot of other formats. If you need, you can give them a try. Avidemux is a great choice to convert AVI to MP4. But frankly there are better options, there are other programs with a more beautiful and intuitive interface. If you want a more simple and user-friendly alternative to Avidemux, here’s one for you: Leawo Video Converter. It’s a renowned video converting program that supports a wide variety of video and audio formats. It can do almost all the things you can do with Avidemux. It can convert videos and audio files between different videos as Avidemux. It also comes with a bunch of video editing features that allows you to make simple adjustments to your video. 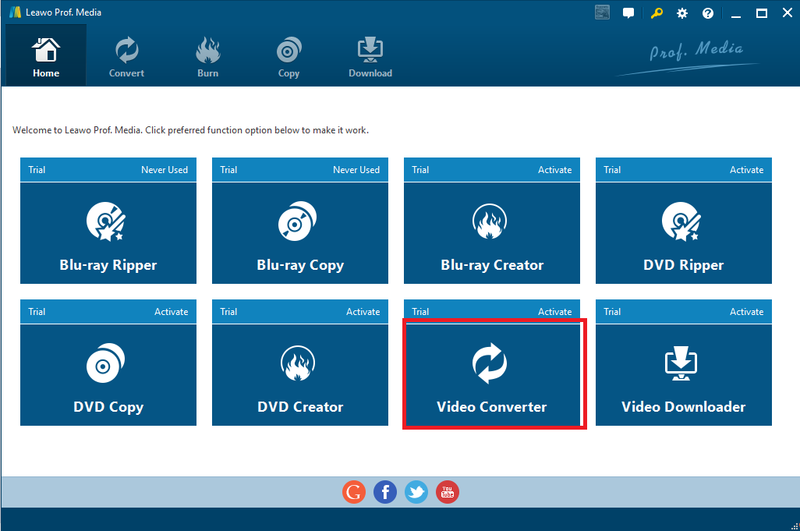 To let you know how easy it is to use Leawo Video Converter to convert AVI to MP4, I would show you how to do it in the content below. Here’s a small tip about Leawo Video Converter: it’s now packed in a software package that the company called Prof. Media. 1. Launch Prof. Media from your desktop and find Video Converter on the interface. Click on Video Converter to launch it. 2. Find the AVI videos in Windows Explorer and drag them to the interface of the program to add them to the conversion list. Or you can click the Add Video button and select them from the video importing window. 3. If it’s the first time that you open this program, the default output format is probably MP4. The default output format is shown on the left side of the green Convert button. If it isn’t showing MP4, click on it and click the Change button on the following menu. You will enter Profile page. Find MP4 from the output format list and click on it to set it as the default output format. It will also take you back to the video file list. 4. Video parameters like video codec, resolution, bit rate and frame rate are allowed to be changed. If you want, click the Format I mentioned above again and click Edit on the following menu to go to the Profile Setting page and change the video and audio parameters of the video. 5. After returning to the interface from the last step, you can now start the AVI to MP4 conversion. Click the Convert button mentioned previously and you will see a sidebar show up from the right of the file list. It contains two things on it. One is the default output path and the other is the Convert button for triggering the conversion. Change the default output path by clicking the button next to the output directory box. And click the Convert button to start the conversion when you are completely ready for it. Other than converting videos, Avidemux and Leawo Video Converter can also edit videos, you can choose which one to go with according to your personal preference. But for beginners and novice, I’d recommend to you Leawo Video Converter as It’s simpler and more user-friendly. In case you need, here’s how to use Avidemux to convert MP4 to AVI.